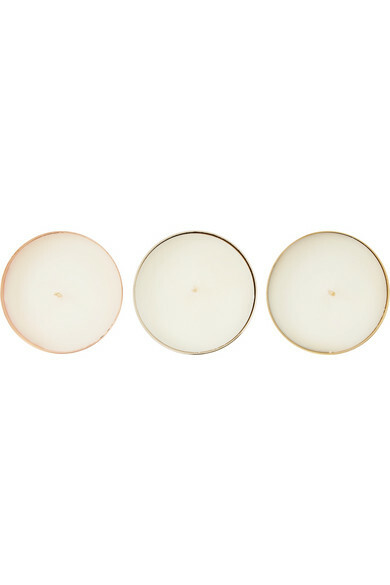 Lighting a scented candle can completely transform a room's ambiance - and your mood in the process. 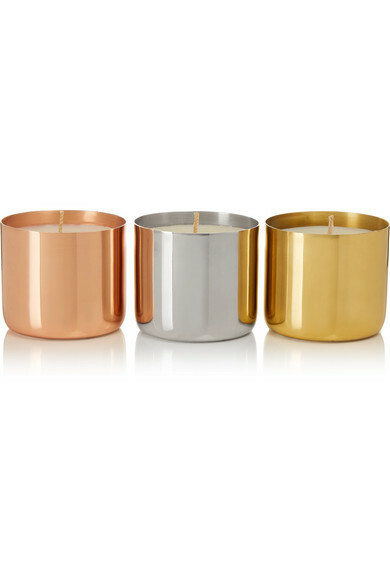 Tom Dixon's sleek set contains a trio of evocatively fragranced ones held within hand-spun vessels formed of brass, copper and nickel. 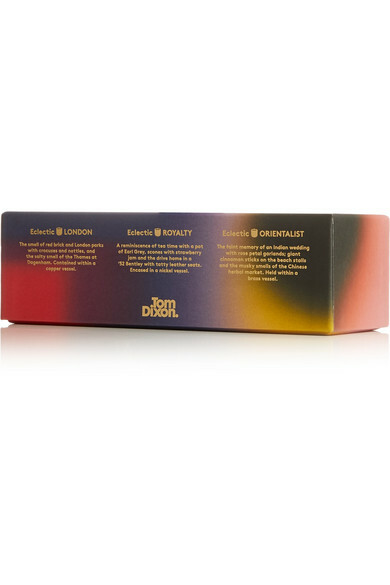 'London' captures the notes of the English capital's parks and red bricks, 'Royalty' is inspired by Earl Gray tea, scones and strawberry jam, and 'Orientalist' is reminiscent of "the faint memory of an Indian wedding with rose petal garlands."